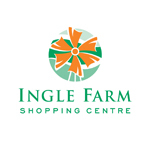 Visit Ingle Farm Shopping Centre this Easter and join in our Easter fun! – Decorate Easter Magnets. Located near Coles North. All activities are subject to change at little or no notice. Activities are only while stocks last.